Leaders, Are You Meeting The Needs Of Your Target Audience? I did some work with another leader that involved reevaluating processes and making changes. One question asked over and over again was, “Who is our target audience and what are their needs?” Prior to making any changes, we had to identify the target audience and their needs. Meeting their needs was very important because we didn’t want to make changes just to find out we weren’t hitting our goals. For leadership to be done right, you must identify and meet the needs of your target audience. Ultimately, if you don’t do this, you will fail as a leader. So how do you identify and meet the needs of your target audience? You must first identify your target audience. Ask who are the end users will be. 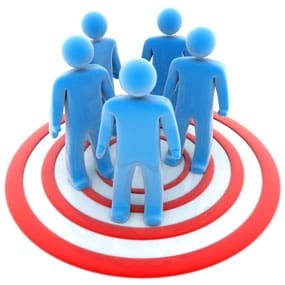 As a leader your target audience may be your superiors, the shareholders, your employees, other departments, outside entities, regulators, or someone else. As you work on projects, you should regularly ask who you are working for and what they want as the end result. In addition to the obvious target audience, there may be other people that will see your work as an indirect target audience. What is the purpose of what you are doing? Meeting their needs brings additional challenges. As the leader, everything you do is centered around meeting the needs of your target audience, so it is very important to identify their needs. Once you identify the target audience and their needs, you must meet their needs. This is where the rubber meets the road. You must work hard and be dedicated to put together a good product. When I was in college studying mechanical engineering, I took a class in engineering design. For the class, we had to design a water pump for people in Africa to use. We had a few different groups that made up our target audience. The target audience consisted of the African people, our teacher, and the sponsor that would take the pump to Africa. The people of Africa wanted a pump that could be reproduced with a limited number of resources. Our teacher wanted us to use a specific design process so he could grade us. He also wanted us to produce a good product. The sponsor wanted something that was easy to reproduce and transport. Once we identified the target audience and their needs, we designed a pump using a bicycle and PVC pipe that was able to pump 10 gallons per minute. It was easy to reproduce and the design process met the teacher’s standards. In addition, the sponsor really liked the design and he took it to Africa so they could use it. Overall, the project was a success because we identified the target audience, their needs, and then followed through with the project. If you follow the process of identifying your target audience and their needs, you will then be able to meet their needs successfully. Have you used this process before? Was it successful for you? Please share your thoughts in the comments section below.